Scandinavian lamps immediately give a nice atmosphere to your interior. 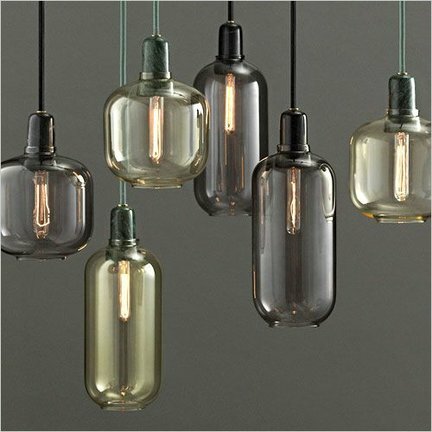 We have beautiful lighting for you from Scandinavian brands such as Ferm Living and Normann Copenhagen. You can make a choice with us from a wide range of Scandinavian lamps. This immediately enriches your interior and creates a nice atmosphere. Light is of course important for the atmosphere in your Scandinavian interior. This also applies to the design of Scandinavian hanging lamps and free-standing lighting. Even during the daytime with the lights switched off, but you can still enjoy the unique lamps in your Scandinavian interior. The Scandinavian lamps are characterized by their minimalist and somewhat austere look. That does not detract from the fact that extra attention has been paid to the designing of Scandinavian hanging lamps and lighting with an original design. You can see this immediately when you look at the range that we have put together for you. There is variation in design and style, so you can always make a choice from the range of Scandinavian lamps you feel comfortable with.